The Newest Rant: The Hot Comic Revue's Third Installment: Attack of the Threequel! The Hot Comic Revue's Third Installment: Attack of the Threequel! Here we are with the latest installment of The Hot Comic Revue. As always, thanks to my chums at Comics Heating Up who talk about what upcoming books look worthy of speculation and encouraged me to pursue writing about what's popular in regards to stuff that is already out. Any brand-new Image book isn't guaranteed to be a huge hit, but usually stands a decent chance. The first-printing of, "Gasolina," sold out both its covers from Diamond and the promotional ashcan that came out a bit before the first issue continues to briskly sell online. This book hasn't yet caught fire but it looks promising. Things From Another World, MyComicShop, and eBay all are good ways to get yourself a copy. 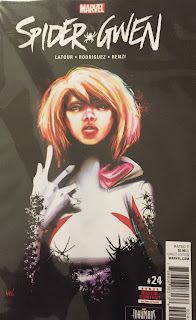 Spider-Gwen already is a very popular-character who was created in 2014 and good ol' Venom continues to be a fan favorite after rocketing to popularity in the 1990's. 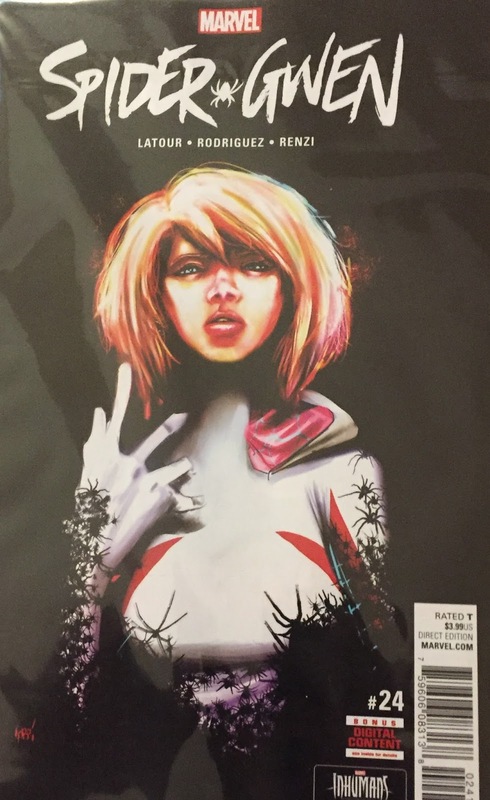 So, when the news emerged this issue was arguably the first appearance of Gwen merging with a version of the Symbiote and thereby becoming, "Gwenom," the book started flying off the shelves. There actually is a variant cover featuring Gwen, "Venomized," and they both appear to be equally popular, with anyone who is selling both covers at once making a pretty penny. 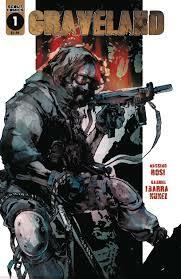 Right now eBay or MyComicShop are your best chance to snag a copy. 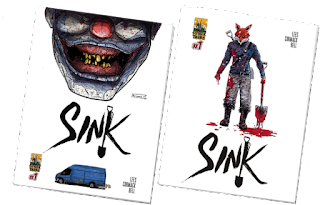 It pleases me to see that, "Sink," is a huge hit as I of course did an advance review where I described how I loved it and had the pleasure of interviewing the creators of the book, who are both stellar guys. A stellar comic that mixes horror and crime to great success, the first issue of, "Sink," has two covers that were printed in equal quantity and therefore are both desirable--with many people wanting at least once of each (there is less-common blank variant too that doesn't seem especially hotter)! eBay or MyComicShop both have copies for sale, with the comic going for quite a lot before settling into a popular-but-not-prohibitive $10-$15 for either cover. 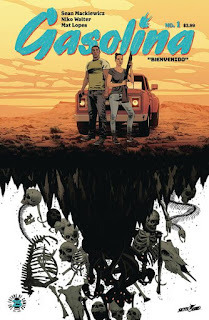 Scout Comics have released a number of books that have gone on to achieve great popularity and success. "Graveland," is one of their newest releases. It features Giants causing immense destruction and is a fun action-movie-styled read. Considering how many books from Scout have gone on to at least warm-up if not become blazing-hot it would be wise to maybe grab at least one copy of, "Graveland," if you can. It currently can be found on Ebay or at MyComicShop. Cross-over books between two properties and publishers (DC and Dark Horse) seem to usually get a bit warm or even really hot. Considering how popular Wonder Woman is right now thanks to the awesome movie and the fact that Conan the Barbarian tends to always have a solid fan-following, this book could appeal to a variety of people and has the possibility of getting steamy in the future. I'll be the first to admit this book may be more of a slow-burn however while we wait for the next, "Wonder Woman," flick or Conan to be adapted for the big-screen or television again (which it will be, because everything is getting rebooted and brought-back now). 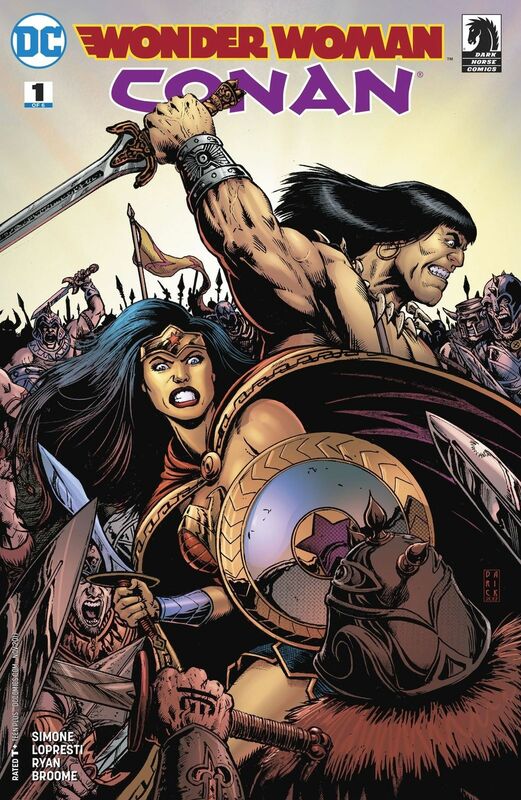 The first issue of, "Wonder Woman Conan," is purchasable at Things From Another World, MyComicShop, and of course eBay.